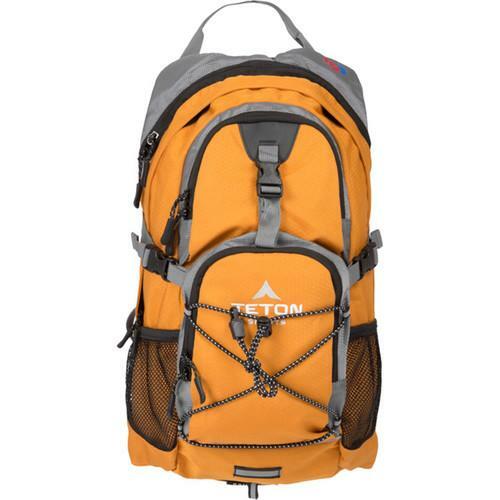 We recommend checking out our discussion threads on the TETON Sports Oasis1100 Hydration Backpack (Orange) 1001-O, which address similar problems with connecting and setting up Hydration Packs TETON Sports. The user manual for the TETON Sports Oasis1100 Hydration Backpack (Orange) 1001-O provides necessary instructions for the proper use of the product Optics - Outdoor Gear - Hydration Packs. Hike, camp and explore the great outdoors while staying hydrated with the Oasis1100 Hydration Backpack in orange from Teton Sports. 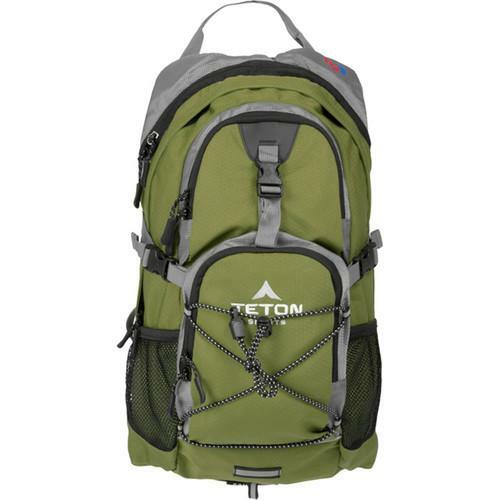 Users will appreciate the 2L reservoir and 18L pack capacities of this lightweight, 2 lb pack. The versatile Oasis1100 features 3 zippered pockets, plenty of space for stashing gear, and 2 mesh pouches. The pack has a low-profile, athletic cut that adjusts to comfortably fit men and women. Wide mesh straps with ventilated foam, chest shock absorber, comfort-taped straps, and 0.5" thick mesh-covered rear pads help long journeys feel less fatiguing. The FDA-compliant food grade bladder has triple-heat sealed edges plus a wide 2" opening for easier filling and cleaning. The sip tube is well made to be kink-free with a cushioned bite valve and a twist-lock to prevent leaks. Designed for protection; the pack has a large pocket with a hidden teeth zipper and a weather guard to protect your gear. The Oasis1100 also has a built-in, bright yellow rain cover to safeguard your belongings against the elements. If you own a TETON Sports hydration packs and have a user manual in electronic form, you can upload it to this website using the link on the right side of the screen. Box Dimensions (LxWxH) 19.5 x 10.5 x 2.1"
The user manual for the TETON Sports Oasis1100 Hydration Backpack (Orange) 1001-O can be downloaded in .pdf format if it did not come with your new hydration packs, although the seller is required to supply one. It is also quite common that customers throw out the user manual with the box, or put the CD away somewhere and then can’t find it. That’s why we and other TETON Sports users keep a unique electronic library for TETON Sports hydration packss, where you can use our link to download the user manual for the TETON Sports Oasis1100 Hydration Backpack (Orange) 1001-O. The user manual lists all of the functions of the TETON Sports Oasis1100 Hydration Backpack (Orange) 1001-O, all the basic and advanced features and tells you how to use the hydration packs. The manual also provides troubleshooting for common problems. Even greater detail is provided by the service manual, which is not typically shipped with the product, but which can often be downloaded from TETON Sports service. If you want to help expand our database, you can upload a link to this website to download a user manual or service manual, ideally in .pdf format. These pages are created by you – users of the TETON Sports Oasis1100 Hydration Backpack (Orange) 1001-O. User manuals are also available on the TETON Sports website under Optics - Outdoor Gear - Hydration Packs.